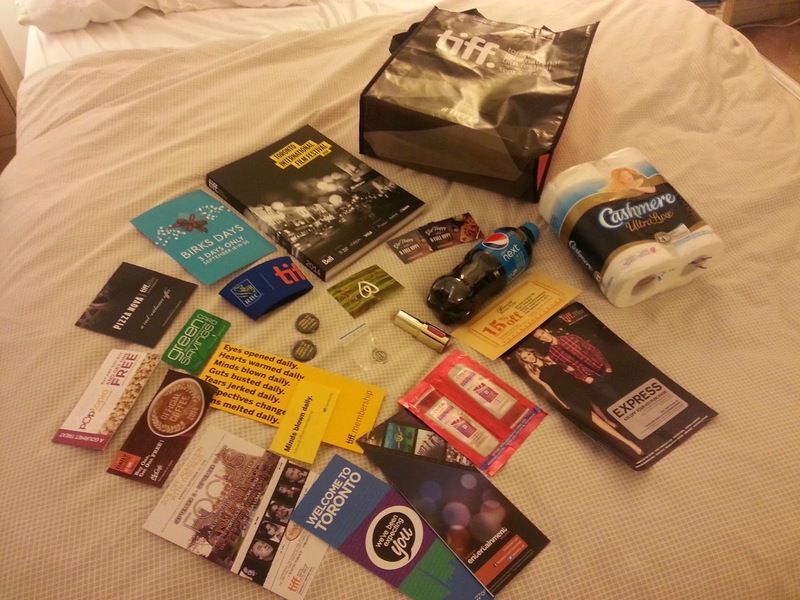 The festival has released details on ticket packages for the 2014 Toronto International Film Festival, which is on from September 4 to 14, 2014. The Ticket Wizard provides help on selecting which package may be best for you. The Ticket Product List provides information on each ticket package and on single tickets, including a detailed breakdown of pricing. The Ticket FAQ answers common questions about the ticketing process. The Ticket Info package provides information about the ticketing process including important dates. Ticket Policies has information about conditions and restrictions, such as how many packages you can buy per account. June 24, 2014 Ticket packages go on sale to TIFF Members at 10:00 AM ET. July 2, 2014 Ticket packages go on sale to the general public if paying by Visa (probably at 10:00 AM ET). July 9, 2014 Ticket packages go on sale to the general public for all payment methods (cash, debit, Visa, MasterCard, American Express) (probably at 10:00 AM ET). August 18, 2014 E-mails sent out notifying My Choice ticket package holders of their selection window. August 19, 2014 Official Film Schedule released and Festival Programme Books available at 9:00 AM ET. August 21-23, 2014 Individual tickets available for purchase for TIFF Leadership, Platinum, Gold, Silver, and Bronze members starting at 9:00 AM ET, according to Member level. In 2012, TIFF Leadership members could enter the first day starting at 7:00 AM, Platinum at 11:00 AM, and Gold at 3:00 PM. Silver could enter the second day starting at 7:00 AM and Bronze at 11:00 AM. August 24, 2014 Select screenings online at tiff.net (or by phone or at the TIFF Bell Lightbox) for TIFF Patrons Circle and Principal Members, according to member level, for Regular Flex and Premium Packages, In 2012, TIFF Leadership members could enter the first day starting at 7:00 AM, Platinum members at 11:00 AM, and Gold members at 3:00 PM. TIFF Silver members could enter the second day starting at 7:00 AM and Bronze members at 11:00 AM. TIFF Principal members could enter the third day starting at 7:00 AM, while Contributor members got a randomized start time from the third day onwards. August 25, 2014 Select screenings online at tiff.net (or by phone or at the TIFF Bell Lightbox) for TIFF Contributor Members, according randomized start time. August 26-29, 2014 Select screenings online at tiff.net (or by phone or at the TIFF Bell Lightbox) for the general public for Regular Flex and Premium Packages. Package holders will receive a randomized start time. August 29, 2014 End of ticket selection window at 7:00 PM ET for Regular Flex and Premium Packages for the general public and TIFF members. August 30, 2014 List of off-sale (i.e. sold out) screenings is posted on tiff.net at 9:00 AM ET. August 30, 2014 TIFF Choice Package holders receive e-mail notifying them of the screenings they will receive. August 31, 2014 Individual tickets available for purchase for the general public starting at 9:00 AM ET at tiff.net or by phone or at the Festival Box Office). September 1, 2014 TIFF Members can pickup their ticket packages and make exchanges starting at 9:00 AM ET. September 2, 2014 Select screenings online at tiff.net (or by phone or at the TIFF Bell Lightbox) for TIFF Contributor Members and up, starting at 9:00 AM ET. TIFF Individual/Dual members can select starting at 12:00 PM ET. September 2, 2014 General public can pickup their ticket packages and make exchanges starting at 9:00 AM ET. September 2, 2014 Select screenings online at tiff.net (or by phone or at the TIFF Bell Lightbox) for the general public for Back-Half and Daytime Packages. TIFF has released information about the tickets and packages available for the 2014 Toronto International Film Festival, on from September 4 to 14, 2014. Where there is a more significant pricing difference is in the Regular Flex Pack. The table below shows the difference in prices from last year to this year. Both the 2013 and 2014 prices include taxes but not fees. As you can see, at the high-end this is a huge jump. Just in case you are wondering if the 2013 prices didn't include tax or something like that, in 2013 I bought a 60 pack and two programme books, and after tax it came to $942. This year, 60 tickets alone will be $1,085 after tax. I'm not sure why there is such a huge jump in the regular flex package pricing. The My Choice premium packages only went up by 3%. This would seem to be heavily penalizing the avid festival goer that sees a lot of films, or people that pool together to purchase tickets. For 2013, buying a 100 ticket package was 75% of the cost if you bought 10 10-packs. For 2013, buying a 100 ticket package is 90% of the cost if you bought 10 10-packs.